Ein öffentliches PiratePad mit gemeinsamen Notizen zum Nachlesen gibt es ebenfalls. Ich bitte um Nachsicht, dass die Hyperlinks nicht klickbar sind – bitte einfach markieren und kopieren. Am Anfang jeder Zeile steht der jeweilige Twittername des Autors, dessen Twitterprofil zB im Falle @tkb unter http://twitter.com/tkb erreichbar ist. Die Tweets sind zeitlich sortiert und orientieren sich am offiziellen Programm am 30.6./1.7. @TapioNurminen #okcon2011 Richard Stallman on free vs open-source: Freedom is a core value; better quality software is just nice. @MFBorman #okcon2011 @ccbuhr now on costs of #opendata , EU is studying on sevaral options for covering costs of opendata. No one solution yet. @kat_braybrooke “The idea of creating a #Commons comes from concept of *collaboratively* developing our code.” — Allison Powell (@postdocal) at #OKCon2011. @MFBorman no tender for data.gov.eu 🙁 #okcon2011 the good news is data.gov.eu is coming. @hofmokl Notes from #okcon2011 are here http://t.co/0Nt0msT. I am not there but I can follow. Great! 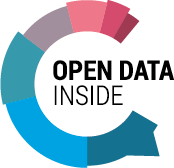 @laurnicolas N. Shandbolt : licensing public open data will kill the re-use ! @adrebiluka #okcon2011 Andrew Stott – #opendata – it’s not the IT project, stop it becoming one! @kat_braybrooke “everything i needed to know about #opendata i learned from #opensource.” — chris taggart, #okcon2011/ cc @okfn. @BrainStraining RT @iainh_z Data Sharing by Scientists: Practices and Perceptions http://t.co/hC9MZoe many at #okcon2011 will be interested in this. @nicolaskb Just met with @momokoprice at #OKcon2011 She convinced me that buzzdata.com will be THE place for data nerds when it launches. @melanieddr #okcon2011 @mbrinkerink effects of reuse of their videos on Wikipedia: 3 millions+ views of articles in May, more than footages they have! @davidpidsley John Sheridan talking about #OpenData business models at #OKCon2011, quoting “The Wealth of Networks”.